This weekend is Mother’s Day in the U.S., so I thought it would only be appropriate to share some of the wisdom and truths from my mom that have profoundly shaped me both personally and professionally. I owe so much to her (and my dad too, of course). 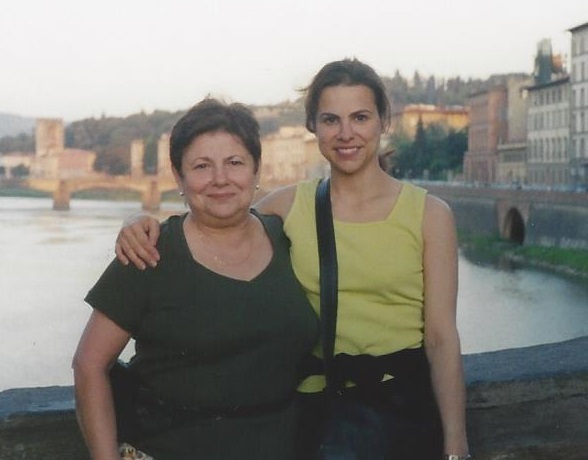 Mom grew up in Cleveland in an Italian neighborhood on the city’s East side. Like many Italian-American moms I know, she is warm, affectionate and extremely loyal. She’s also equally as tough, having weathered many of life’s storms. As with many folks her age, it’s clear that her heritage as well as living during the tail end of the Great Depression and World War II were instrumental in developing her great character. My mom is the most cheerful person I know. She has always been that way. She appreciates life and her loved ones, and rarely belies that persona (only in the direst of circumstances). She’s also the most caring and loving individual I have ever met. While she might tell you she doesn’t have a sense of humor, I think she’s hilariously funny, more lately in her newfound bluntness, which is one of the privileges that comes with age. Throughout my life – in good times and in bad ones – I’ve always looked to her for guidance and advice. At this point in my life I am ready to admit that yes, my mother is always right. I had some doubt in my youth, sure – but doggone it, when I really examine things; she’s got a ‘being right’ slugging percentage of 3 point something (for you non baseball fans, that’s pretty dang great as 4.0 is perfect). Of course I’ve mastered those tried and true manners like putting a napkin in my lap and keeping my elbows off the table. My mother always made sure I wrote my thank you notes – as a kid just a few sentences – and that I understood this gesture to be a truly sincere and appreciative way to demonstrate one’s gratitude. Saying please, thank you and wishing someone to have a nice day have also always stayed with me. Trust me, it makes a big difference. I don’t believe I have or have ever had a greater champion than my mother. Whether I was starting out with violin lessons, making the varsity softball team or getting national coverage on the Today show for one of my clients. She’s never wavered, even if she secretly thought I couldn’t do something. I think part of the feeling for me that I can do something is that I really believe my mom thinks there’s nothing I can’t do. Of course it’s not true, but how great is it to have my own Stuart Smalley? What can I say, I have fine hair and when I wear it long, I can easily look like one of those poor urchins hiding behind the cloak of the Ghost of Christmas Future at the end of A Christmas Carol. Mom’s got my back! There was never any doubt when I was young that I would attend college. My parents went for a little while but never finished. My mother was a stay at home mom, and like other women in her generation, she depended on my father for money. She didn’t want that for me. She always made sure to instill in me strength in myself to be financially self-reliant and independent. Thanks, Mom! Saint Anthony (the patron saint of lost things) must really be sick and tired of me losing my keys in my purse. I find he’s progressed with the times and can even help find lost files on the computer as well. For the most part, he always comes through. Except in the case of my 14th birthday present, a pair of Gloria Vanderbilt shorts which I never received because my mother forgot where she hid them. I am still waiting. And so it appears that mom does always know best. I love you Mom! Happy Mother’s Day to you and to all the wonderful moms out there! « Mad Men? Been there, done that.